You may give us information about you by filling in forms on our website, booking a table via a third party booking platform or by corresponding with us by phone, email or otherwise. This will include information which you provide to us when you register on our online ordering website, order from our shop or subscribe to our newsletter, such as your name, phone number, email address and postcode, or if you participate on any of our social network sites. We may also collect information about your computer, tablet or mobile, including where available your IP address, operating system and browser type for system administration purposes and information about how you use our website. This is simply statistical data about our users’ browsing actions and patterns, and you will not be identifiable as an individual from it. We will use your information to: 1. process your order when you place an order through our online ordering website or shop; 2. update you on the progress of your order you have placed through our online ordering website or shop; 3. ensure that content from our website is presented to you in the most effective manner; 4. provide you with information about our products and services and any other information, services or offers which we think may be of interest to you by email (where you have consented to receive such information); and 4. notify you about any changes to our website or our services. It is our intention to only send you email communications that will be useful to you and that you want to receive. We may occasionally send notifications of new products, services or offers from us to your designated email address. You may opt out of receiving these notifications from us at any time by clicking un-subscribe at the bottom of the emails we send you or by contacting info@gauthiersoho.co.uk. We will never disclose your personal data to any third parties except in the circumstances set out in this section. We use a number of trusted suppliers and service providers to help provide our website and other services to you. We may need to disclose your personal data to them but will only do so to the extent that it is necessary for them to be able provide the services we require. We may also disclose your personal information: 1. to other companies within our group (which means our subsidiaries, our holding company and its subsidiaries (as defined in section 1159 of the Companies Act 2006); 2. in the event that our company, or substantially all of its assets, is sold, in which case we may disclose your personal data to the buyer and you agree that if you have provided us with consent to contact you by email or otherwise, any such buyer shall also be deemed to have received the same consent; and 3. if we are under a duty to disclose or share your personal data in order to comply with any legal obligation or to protect the rights, property, or safety of the company, our customers, or others. This includes exchanging information with other companies and organisations for the purposes of fraud protection and credit risk reduction. All information you provide to us is stored on secure servers which are operated by our trusted providers. Currently all the providers we use to help us provide the website and services connected to it are located within the European Economic Area (“EEA”) and the United States but this may change in the future. Although, we will take reasonable steps to inform you of any change to our arrangements in this respect, By submitting your personal data, you agree to it being transferred to, stored and processed outside the EEA and US for the purposes of providing you with the services connected with this website. We will always aim to ensure that your personal data is processed in accordance with the rules set out under European law or alternatively in accordance with other national or international legislation, systems or contractual provisions which are recognised by the European Union as being adequate to safeguard your personal data. We will keep your personal information for no longer than is necessary for the purposes for which the personal information was collected. Unfortunately, the transmission of information via the internet is not completely secure. Although we will do our best to protect your personal data, we cannot guarantee the security of your data transmitted to our website and any transmission is at your own risk. Once we have received your information, we will use strict procedures and security features to try to prevent unauthorised access. We are not responsible for the data collection practices, the privacy policies or the content of websites which are not operated by us, including social network sites. You should contact the operators of those websites directly if you wish to enquire about their privacy practices and policy before providing your personal information to any third party. The Act gives you the right to access information held about you. Your right of access can be exercised in accordance with the Act. You may request details of personal information which we hold about you under the Data Protection Act 1998. 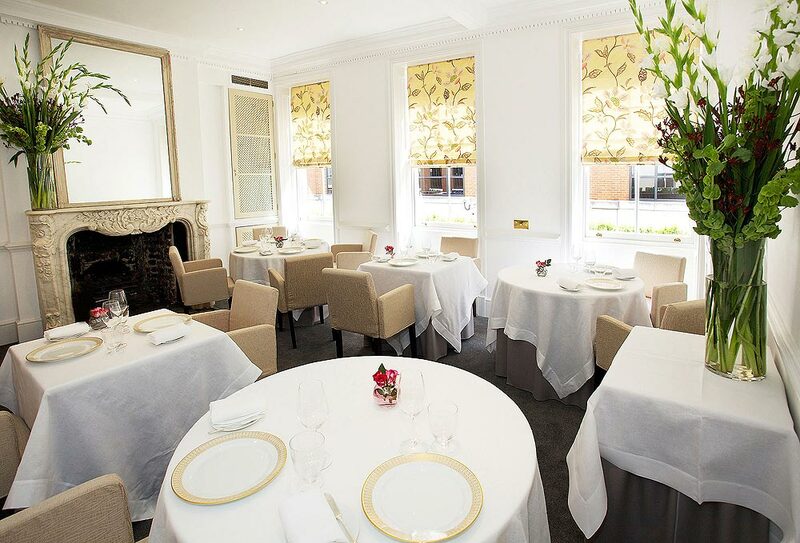 If you would like a copy of the information held on you, please contact us at info@gauthiersoho.co.uk. If you think any information we have about you is incorrect or incomplete email us and we will correct or update any information as soon as possible.